The management had a dilemma when it came time to decide where Tzimin Chac, a new tourist raft, could best operate. The raft, built on two 27-foot floats, much like a catamaran, needs calm waters in order to provide a smooth ride for its passengers. Due to strong winds, the waters of the Río Dulce often become choppy and uneven in the afternoons. The waters in Lago de Atitlán are much the same. So for Tzimin Chac’s home, the choice was clear. Lago Petén Itzá, the second-largest lake in Guatemala—with its calm waters, lush green tropical surroundings, exotic wildlife and deep Mayan history—was the perfect fit. Locals in San Miguel, a lakefront town on Lago Petén Itzá, were not exactly convinced. 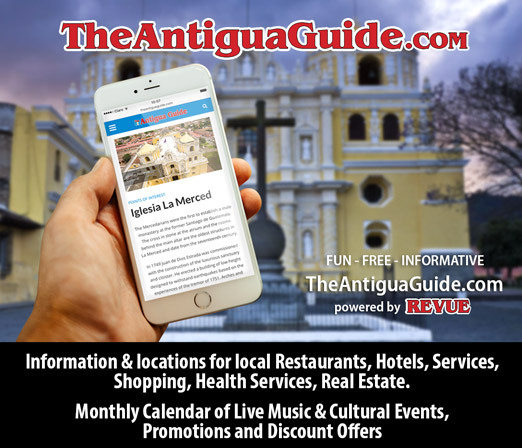 Many of San Miguel’s residents work as lancha drivers, cooks, waitresses and hotel staff in the bustling tourism industry that surrounds Flores. The boatmen in particular were not pleased by the presence of Tzimin Chac. They earn their living by shuttling tourists and locals alike around the lake, from point A to point B. Outside businesses had tried to come in before without consulting the local community, and the San Miguel lancha drivers ran them off. But Tzimin Chac had a different approach. When building the raft, the owners invited locals to come see the raft and explained the services they would provide. 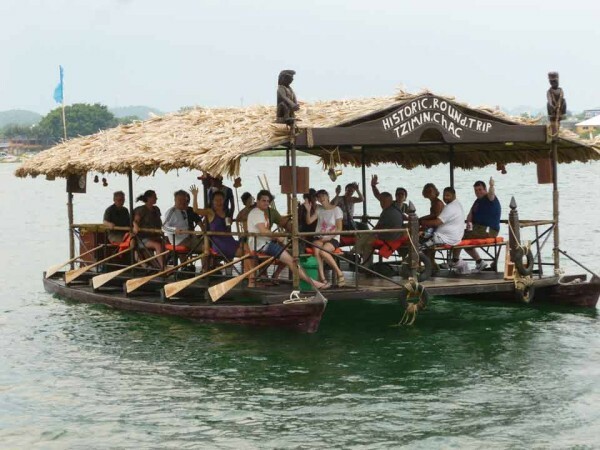 Instead of offering point A to B service, Tzimin Chac offered a 45-minute tour around the lake for tourists and families, complete with comfy seating and a guided recording with information on the area, including native plants and animals, Mayan history and legends. Tzimin Chac would make no stops and would charge a higher price than the lanchas, so there was little competition. Tzimin Chac also provided handicap-accessible service, which even the most modern lancha cannot provide. 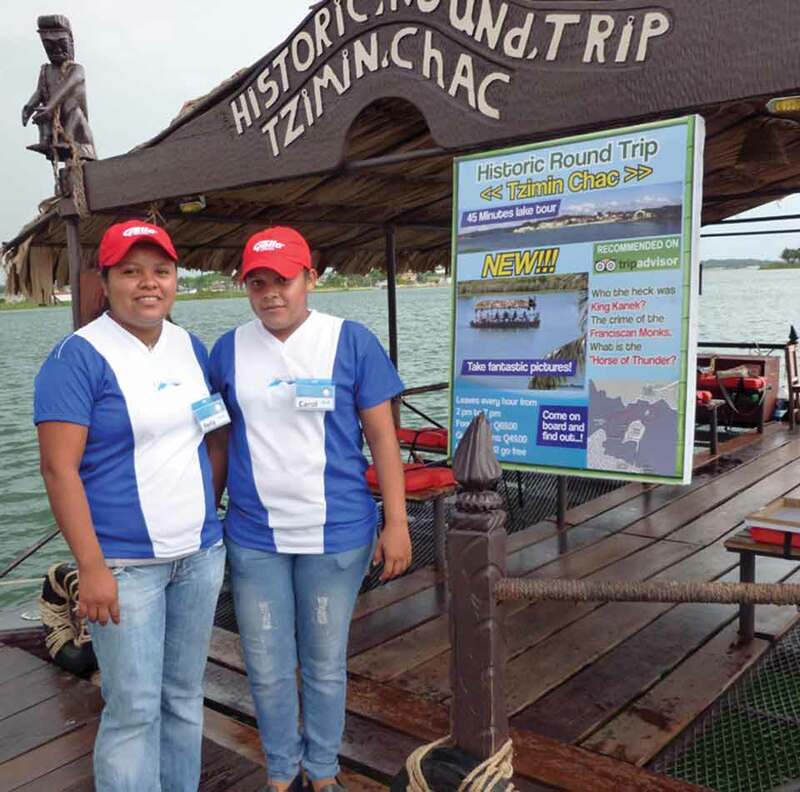 The drivers were appeased and even grateful to learn that Tzimin Chac would provide five new employment opportunities for locals—four captains and a watch guard. All of the positions are held by San Miguel locals; two of the captains happen to be single, working mothers. The latter was the reason that the mayor of San Miguel recently granted an official recognition to Tzimin Chac. The Tzimin Chac team and the San Miguel community work in harmony. Some have even found time to take a spin on the new attraction with friends and family, learning anew about their surroundings and history. This is excellent news! I always wanted to cruise Lago Petén Itzá but, in the past, the taxi drivers were too aggressive and money-oriented. Hopefully that its staff doesn’t make the same mistake as the cruise boats on Lago Atitlan: they have loud English American music on the boat, so loud that it even disturbs the residents around the lake. And to top it all, it’s English rock-and roll; these noises that some people call music destroy the whole romantic atmosphere of the cruise. That is why me, my friends, relatives anmd other foreigners do not go on the Atitlan cruises until they stop this nuisance ‘music’ on board. 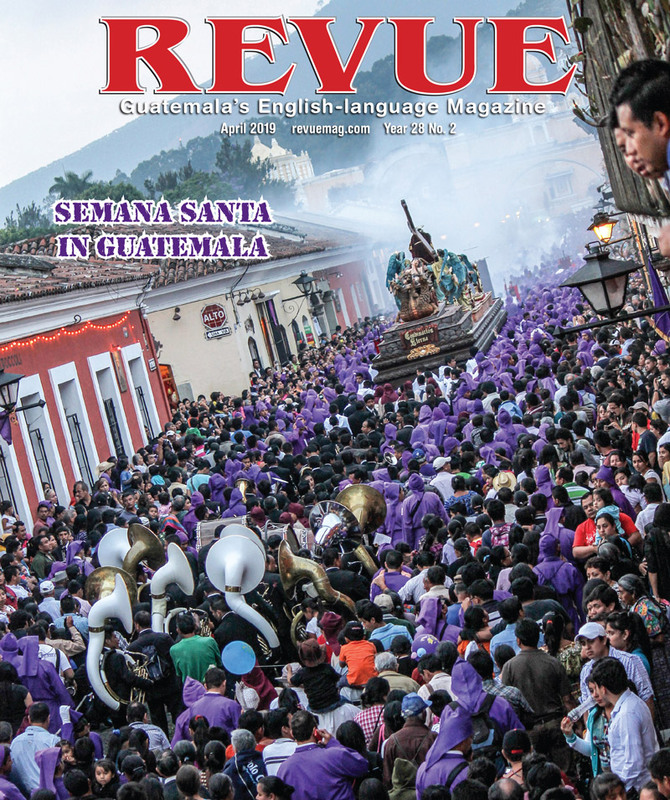 The tourist wants a genuine cultural experience when visiting Atitlan, not a repeat American sound blast. Hopefully, the Lago Petén Itzá TziminChac ambiance will reflect the Mayan culture, not the New York noises.